Clever but couldn't be used on roads. I could load quicker than a forklift and require less pay than a drivr + fuel etc. It's not the tarmac that costs the money, it's the land you put it on, and, after that, the cost of leveling it out, building bridges and laying foundations. This machine simple makes liing the paving bricks up quicker. If I were to mention an "Interocitor", how many HPC's would get the reference? Is it a reference to fans Leonard Rossiter who played slum landlord Mr Rigsy from Rising Damp? A great programme, I'm interocitor too. I wouldn't want Rigsby as a landlord though. Not what you were referring to? I'll have to Google it then. is it the thing the bit was missing on? What do you think they are laying if not a road? No wonder we have 3m British unemployed and every non English speaking immigrant finds a job here. what point are you making here ? Interocitor was the first warning sign with guns on it. No Sci-Fi nuts on yet then. 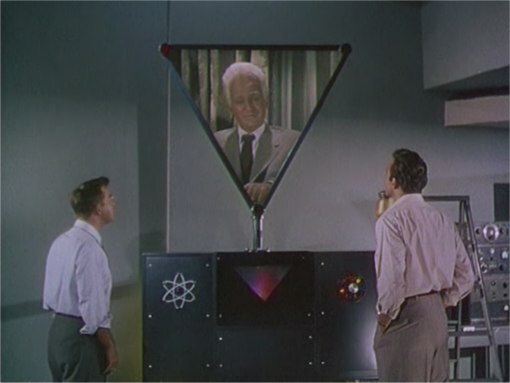 An "Interocitor" was a device used in the 50's classic "This Island Earth"
This clip on Youtube is the Mystery Science Theatre piss-take version but it does the job. Apparently such a device could lay a four-lane highway at 'a mile a minute'. here is the actual device as revealed in the 1950s.